Newcastle passed an inspection but Bangor-On-Dee and Kempton inspect again this morning and we start at the North Wales track where there is a marathon 3m 6f chase which can go to Barton Gift (3.15). The selection is reunited with Nico de Boinville having slipped up on the flat when looking held with three to jump at Catterick last time when, seemingly, not at his best. I am sure he has more to offer and he can reward each-way support in what is sure to be a real slog on ground officially described as soft. Assirem (3.50) carries a 7lbs penalty for his facile win at Towcester last week and he is another example of the burgeoning training skills of Ben Pauling for whom he was making his debut last time. Jason Maguire keeps the mount and, if in the same form, will be very hard to beat. It is rare for the highlight to, arguably, be the last race on the card but the Hunter Chase is top class including the seasonal reappearance of Teaforthree who is running over a trip short of his best but he receives weight from many of the other principles and must go close. Teaforthree, beaten 20 lengths in last year’s Gold Cup, could turn this into a procession but Hazy Tom (4.50) is a previous C&D winner, has had a recent pipe-opener between the flags and represents the stable of David Loder for so long associated with training top-class flat-horses from his Newmarket base. In Kempton’s opener champion trainer Paul Nicholls saddles Celestino who is fitted with a hood for the first time having run well in all starts to date. Jack Sherwood can take off a valuable 6lbs and he is taken to break his duck for the Million In Mind partnership. The Novice Hurdle at Kempton is top class but a last chance is given to West Wizard (2.00) who steps up in trip for his third start over timber. The selection has been difficult to train given this will be only his third start since he won a Kempton Bumper back in March 2013but he has always been highly-regarded at Seven Barrows and still holds an entry at Cheltenham next month. He is currently 50/1 at BetVictor for the Neptune Novices’ Hurdle. Having backed Josses Hill (3.05) for the Arkle over the minimum trip at next month’s Festival I am a bit concerned to see him asked to run over an extended two-and-a-half-miles on soft ground in an excellent Graduation Chase. Granted he needs experience before the Festival and was due to run over two miles at Doncaster on Thursday before the weather intervened, but I wouldn’t want him to have too hard a race with Cheltenham looming on the horizon. The jury is out as to whether Her Majesty’s Open Hearted stays 3m and is overlooked with stamina a potential issue. 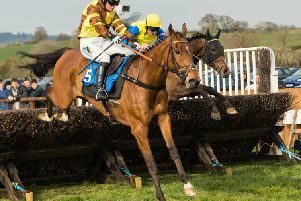 Preference is for Lucy Wadham’s Baby Shine (3.25) a winning point-to-pointer over this trip and who has been running well in defeat of late including in a listed contest at Doncaster last month over what appeared an inadequate trip of 2m 4f.